A sleek aesthetic defines this package of a pair of 11.3s for front channels, 11.1s for the rear, an 11cc centre speaker and SPC-10 subwoofer for a sublime ready-made system. Earn 1195 loyalty points when you order this item. 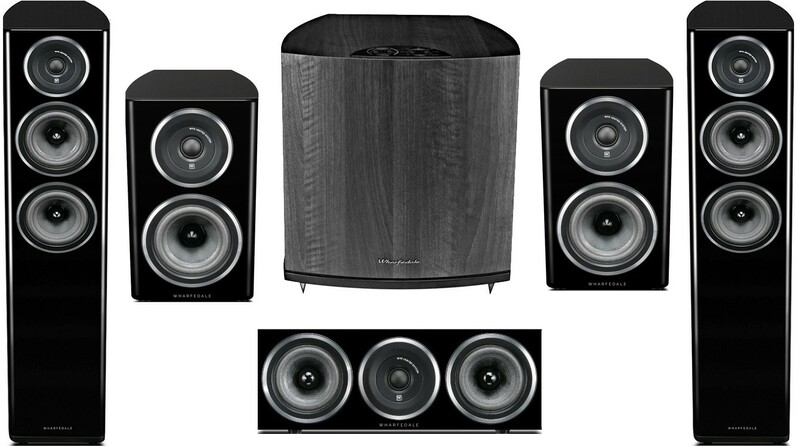 Wharfedale Diamond 11.3 5.1 Package celebrates the new Diamond 11 collection, with this expertly curated speaker package from the team at Audio Affair. 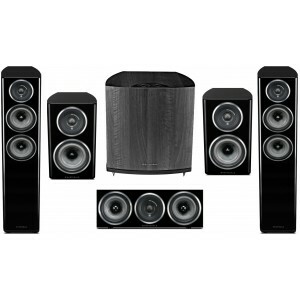 The package consists of a pair of 11.3 floorstanders for front channels, a pair of 11.2 bookshelf speakers for rear channels, the 11cc for centre channels, followed up by the Wharfedale SPC-10 subwoofer. Choose your package in black or white for a truly sophisticated set-up. This pair of floor standers is defined by its gorgeously curved cabinet and is ideal for your front channels. Explore our dedicated 11.3 product page for full information and technical specifications. The 'sweet spot' in the Diamond 11 range, the 11.1 is a mid-sized bookshelf design that showcases an updated driver design and enhanced crossover integration and is perfect for your rear channels. Check out our 11.1 page for more information including technical specifications. This centre speaker supports the Diamond 11 series and is compatible with any model in the collection to reinvigorate your home set-up. Like its fellow 11 model, the 11cc showcases a sleek curved cabinet. For more information on the 11.cc, including full technical specifications, explore our dedicated product page. This superbly versatile subwoofer is compatible with an array of Wharfedale speakers. The model showcases a 25cm driver powered by a rapid 200W Class-D amplifier that is super-agile. Visit our SPC-10 product page for detailed product information and technical specifications.